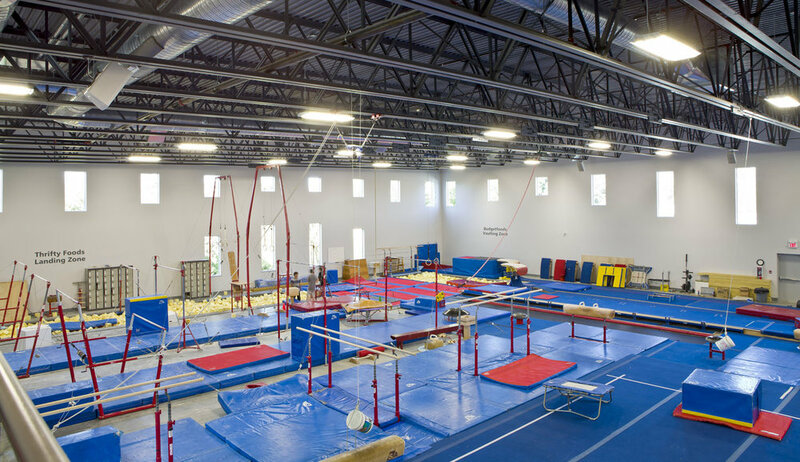 Delta Gymnastics Society (DGS), which includes staff, parents and gymnasts, has the responsibility to provide a safe and positive environment for learning the sport and activity of gymnastics. This Code of Conduct provides a framework for behavioral expectations from athletes and a clear understanding of our Society’s underlying principles of respect, effort and attitude. Gymnasts are not to be in the gym, or on the equipment without supervision. Punctuality and attendance: Punctuality is important. Notify coaches if you will be late for practice, have to leave early, or will miss a practice entirely. Gymnasts are expected to attend every class. Absence is not beneficial to progress. As our gym has no inside walls, everything you say or do is seen by other kids of different ages and different abilities. As a DGS gymnast, you are expected to behave in a way that other kids can respect and follow. While waiting for your class or on breaks either in the lobby, outside of the gym or in the change rooms, gymnasts are expected to be respectful of other people waiting as well as respectful of the facility, including all the spaces you use. Clean up after yourself after your breaks, no running/climbing in the change rooms or lobby, keep your voice at a reasonable volume, and do not leave the facility without the permission of your coach. Phones and social media: The use of cell phones during class is strictly prohibited. All valuables are to be left at home or in the gym locker. Delta Gymnastics takes no responsibility for any lost or misplaced items. Photographs/videos are not allowed anywhere in the gym. When using Facebook and other social media, gymnasts should be aware of content that can be viewed by their peers. Gymnasts should keep in mind that they are sport role models and represent Delta Gymnastics Society. Injuries: All injuries that occur during or outside of training, must be reported to your coach immediately, no matter how insignificant the injury seems. If treatment is given promptly, it is usually less painful and likely to heal quicker. Depending on the injury, gymnasts may be able to attend training throughout the recovery process. Your coach may modify your training in accordance with your injury and the recommendations from your therapist or doctor. Training attire: For practice, girls are to wear a body suit and shorts or tights (if desired); boys are to wear fitted T-shirts and their training shorts or longs. For safety, long hair must be tied back and no jewelry is permitted. For competition, Delta Gymnastics Team bodysuits/singlets and tracksuits must be worn to all meets. Nails, Earrings and Piercings: Neither coaches nor athletes, may have long nails while participating in gymnastics programs. Nails must be kept short – not going past the tips of fingers, well-trimmed and filed. Only studs or small earrings are permitted while participating in gymnastics programs. No dangling or large earrings are allowed that may catch or rip when in contact with something or someone. Any more than a single stud in each ear is a deduction in competition. Body piercings that may catch or rip while coaching or spotting must be removed during a coaching shift or training session. These are a safety hazard to both the athlete and the coach. Eating Habits: Eat like an athlete. Make an effort to eat a well-balanced diet. Please bring nutritious snacks and make sure you drink lots of water. Please clean up after eating your snacks and recycle your juice boxes and plastic wrappers. Only healthy snacks may be brought to the gym. No junk food (pop, candy, chips, etc.). Suggestions for snacks include fruit, veggies in small pieces, 100% fruit juice, bread and other carbohydrates. Due to the possibility of a severe allergic reaction, we ask that gymnasts not bring nuts or any peanut products as a snack. Be respectful: The facility and equipment must always be respected and used in a safe manner. Take ownership of your surroundings and help us to keep it clean and tidy at all times. A positive attitude, sportsmanship and, above all, fairness and respect to coaches, fellow participants, equipment and the gym facility are to be demonstrated and practiced at all times. Be helpful and encouraging to your teammates and coaches. Disciplinary policy: Coaches are expected to treat gymnasts with respect, and gymnasts are equally responsible for being respectful to their coaches. Be polite and respectful of others, listen, pay attention, have a good work ethic, and share. RESPECT yourself, all coaches and fellow gymnasts, the equipment and facility (including the change rooms) and gym rules. The equipment and facility must be used in a safe manner. Take ownership of your surroundings. Help us to keep it clean and tidy. There is no food or drinks allowed in the gym – all snacks must be taken in the change rooms or the lobby. Your best EFFORT is required at all times, not only in the gym but in other aspects of your life that are connected with gymnastics. A positive ATTITUDE towards your training is the only one to have. Sportsmanship and fairness are to be demonstrated and practiced at all times. Be helpful and encouraging to your teammates and coaches. Interference with the learning of others. Pushing, talking back, fighting, negative self-talk, and a lack of actively engaged participation. Threatening, harassing, or intimidating behaviours of any person within the gym community. Use of inappropriate or abusive language. Theft or damage to the property. Be thoughtful, consistent and fair. eek to prevent a recurrence of the offence. Teach acceptable social behaviour rather than being merely punitive. Be supportive: Support and understanding from parents and guardians is crucial to the development of a gymnast. Be involved as a parent, understand DGS’s philosophy, and positively support our activities. Your child has made a commitment to be part of the DGS family and without your support and understanding the coaches cannot help your child reach his or her potential. Let the coach do the coaching: While it is in your child’s best interest that you are supportive and interested in their gymnastics training, it is imperative that the coaching be left to the coaches. Avoid making technical comments about gymnastics. Your gymnast just spent the last few hours of training being told what they need to work on, they don’t need to hear it again from a parent. Also, you may be asking your child to focus on something that is counterproductive to the coach’s goals. Your child needs to have a break from thinking about the gym when they are outside it. They will talk to you about their gymnastics when they have a concern or exciting news. Safety: Please do not create distractions of any kind including, but not limited to, making noise, attracting a child’s attention, waving, or setting off a flash. It is crucial that the gymnasts and coaches be able to concentrate. Any distractions can break concentration and lead to injury. DGS cannot accept the increased risk and the potential liability for such occurrences. Privacy: Please do not take any pictures or videos anywhere in the facility. Even if your goal is to take your own child’s photo, you may unintentionally capture the image of another participant. As parents do not have consent from other parents to share their child’s image, we ask that no pictures or videos be taken anywhere in the facility. Communication with coaches and staff: Please talk to coaches after class, not during. Please do not try to contact the coach/staff from the observation area. If you cannot speak to them after class, you can communicate with them by phoning the office and leaving a message, or sending an email to the program coordinator. For the safety of all children in the gym, only registered participants may remain in the gym(with the exception of Parent & Tot and Drop-in). Parents and Guardians must pick gymnasts up from the lobby of the gym. Children 11 yrs old and under will not be allowed to leave without a parent. Please communicate alternative pick-up arrangements to your child's coach. Contact and payment information: Any changes to your address, phone, email, Emergency Contacts, payment information or banking information must be communicated to the office staff. Communication: DGS communicates with parents via e-mail and newsletters, by posting notices around the facility, and on our Facebook page and website. It is the responsibility of the parent to stay informed and updated. If you have a concern about your child’s progress, or any matter related to their coaching and learning, please discuss it with their coach first. For more information about how to contact coaches and program coordinators, please see our FAQS section.